The Casino was founded in 2015, which makes it exactly five years old in this volatile online gaming market. 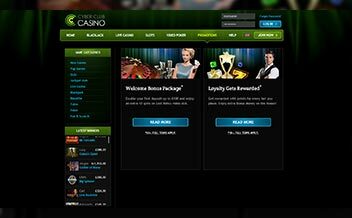 The Casino is powered by some of the best software providers who have teamed up to come up with a smooth instant play interface for players to enjoy. The Casino is owned by Imperium Network Solutions Limited Casinos and is licensed by the government of Curacao. Playing at the Casino is definitely an experience that shouldn’t be missed by anyone. The Casino offers a smooth playing environment which is complemented by diverse games, solid customer support, incredible bonuses and promotions, and strict security measures. Cyber Club Casino is not any different from its counterparts. The Casino offers both its new and existing players with a hefty welcome bonus and in-play promotions throughout their time at the Casino. New players can enjoy the welcome bonus on their first and second bonus. The first bonus attracts 100% match up to $250 while the second one is matched with 150% up to $50. 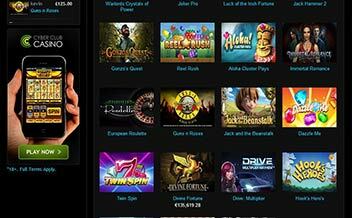 The Casino also offers 25 free spins to new entrants. To withdraw the bonus and any winnings from it, the player must wager the amount at least 25 times. Existing players can also enjoy the wide range of in-play promotion that the Casino has on offer. 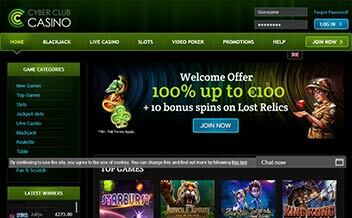 The Casino has a selection of slot games that are developed by gaming powerhouses like Betsoft. The games are developed to meet the needs of the vast market of online gaming. Some of the games available include Jack Hammer 2, Megadeth, 300 Shields, Shushi Bar, Medusa, and Unicorn Legend. The Casino also has a rich selection of modern-day table games. The games are designed in a way that ensures everyone can play regardless of their pocket size. Some of the popular games in this section are Blackjack variants, Roulette variants, Baccarat variants, among others. Video Poker games also have something to celebrate. The Casino guarantees players an amazing experience every time they play at the Casino. Some of the games include Jacks or Better, Bonus Deluxe Poker, Deuces Wild, Joker Poker, among others. 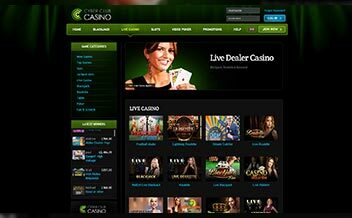 Cyber Club Casino has one of the most incredible Live Dealer section in the modern-day Casinos fraternity. 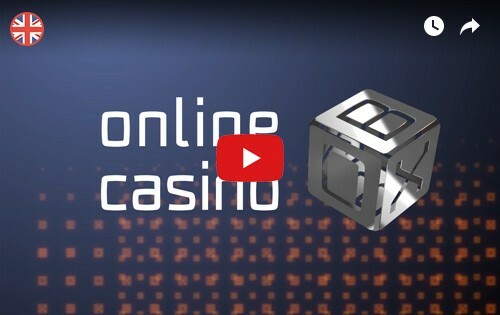 The Casino offers players an opportunity to enjoy their favorite games in real time from the comfort of their home. Some of the games include Live Baccarat, Live Blackjack, Live Roulette, among others. The Casino’s software is powered by some of the best developers in the world. The collaboration between these developers has given rise to one of the most diverse and functional instant play interface. Some of the developers include NetEnt, NextGen Gaming, Betsoft, Williams Interactive, and Leander Games. The Casino is proven fair by independent auditors. The United States, Italy, Turkey, Sri Lanka, Cuba, Bulgaria, Denmark, France, Israel, Belgium, Spain, Kenya, Bolivia, Ghana, Thailand, among others.  Visa, Maestro, Paysafe Card, MasterCard, Skrill, Ukash, TrustPay, Neteller, POLi. Cyber Club Casino depicts a completely instant play and mobile gaming Casino. Players can play at the Casino while on the move and from the comfort of their home seamlessly. The Casino also runs on some of the major web browsers such as Opera, Mozilla, and Internet Explorer. Cyber Club Casino is certainly a great place to put your money. The Casino boasts of dozens of slots and games, solid customer support, amazing bonuses and promotions, and robust security protocol.